Those who’ve muscled through the rough patches with GTA Online can expect some new content next Tuesday in the form of the Beach Bum pack. Included in the next title update, the pack will add new weapons, vehicles, and missions for no additional charge. Players will be able to mutilate each other in a variety of ways with the newly added SNS Pistol or broken bottle melee weapon, both of which will be available for free in-game at any Ammu-Nation. If exploration is more your style, you can check out the BF Bifta dune buggy, Canis Kalahari off-road truck, Bravado Paradise beach camper, or the Speeder speedboat. 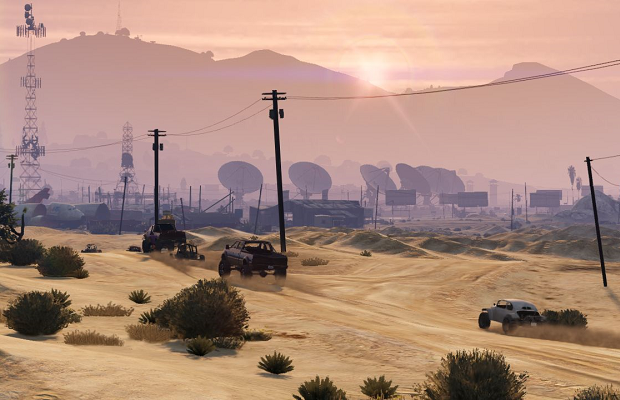 While the full list of new jobs isn’t provided, Rockstar has hinted at what we can expect from a few of the beach-themed missions. Is this new content enough to keep you coming back to Los Santos? Let us know below, and keep an eye out for the latest title update next week on the 19th.